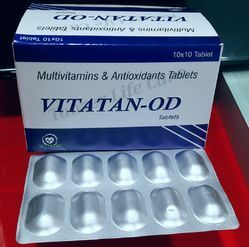 - We are enthusiastically engaged in processing and supplying the best quality Multivitamin Antioxidants. We deal in Protivar XP Powder. Being one of the trusted firms in the industry, we are highly engaged in providing a high quality range of Antioxidants Ginseng Vitamins And Multimineral Capsules. Brand: torainse life care pvt ltd.
Our company is engaged in manufacturing the most sought after range of Multivitamin Antioxidant Capsules. 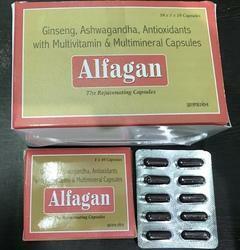 These high grade quality Capsules offered by us are widely appreciated for their unique properties and cost effectiveness. These products are widely recommended by renowned doctors and medical personnel to overcome general weakness and enhance the health of women and children.